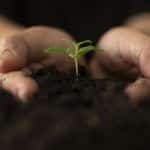 At SoHum Living Soils, we are dedicated to using only the best natural ingredients in our living soil for sale. Our unique soil mix includes a precise, customized blend of soil amendments that work together like nothing else on the market – created by growers, for growers. One of the most interesting inclusions is langbeinite, a unique crystalline substance that meets many fundamental needs of plant nutrition in a small, balanced package. A few tiny granules are sufficient to infuse a large quantity of soil with reliable, elevated nutrition. What are the Nutrients in Langbeinite? Langbeinite is a special sulfate material also known as K-Mag or Sul-Po-Mag due to its unique nutrient composition – providing high volumes of potassium, magnesium, and sulfur. Thanks to this makeup, it is ideal for plants that require multiple nutrients to reach their full potential. How is Langbeinite Used in SoHum Living Soils? Langbeinite is an important part of providing each batch of SoHum Living Soils with the exact nutrient balance and composition you need to achieve high crop yield, health, and hardiness. It gives cannabis and other nutrient-demanding crops the minerals needed to grow as nature intended, even at scale. What is Langbeinite Composed of? Langbeinite is a relatively rare material found in only a few places in the world. Its main source is a series of underground mines outside Carlsbad, New Mexico, where the evaporation of ancient oceans left unusual salt deposits. It is classified as a natural potash fertilizer and has a distinctive reddish coloration. Every batch is thoroughly cleansed before commercial use. Potassium is essential for proper flowering and when in the right balance with phosphorus can help create a high Brix sap, which serves as a deterrent to pests. Potassium is also the backbone of a plant’s immune system. Magnesium is the core of the chlorophyll molecule, so in environments with high light intensity and high CO2, adequate magnesium is required to maintain optimum photosysnthesis. As a naturally-mined substance, it is permissible under organic systems. Its long history of use by indoor growers grants a strong community and best practices. Because of its solubility in water, its nutrients are quickly absorbed by outdoor plants. Langbeinite will help your crops flourish while avoiding the soil imbalances that can result from heavy fertilizer use. Alongside the other organic, hand-picked ingredients in every bag of SoHum Living Soil, it gives you the satisfaction of growing success both indoors and outside. To discover more, just contact us.